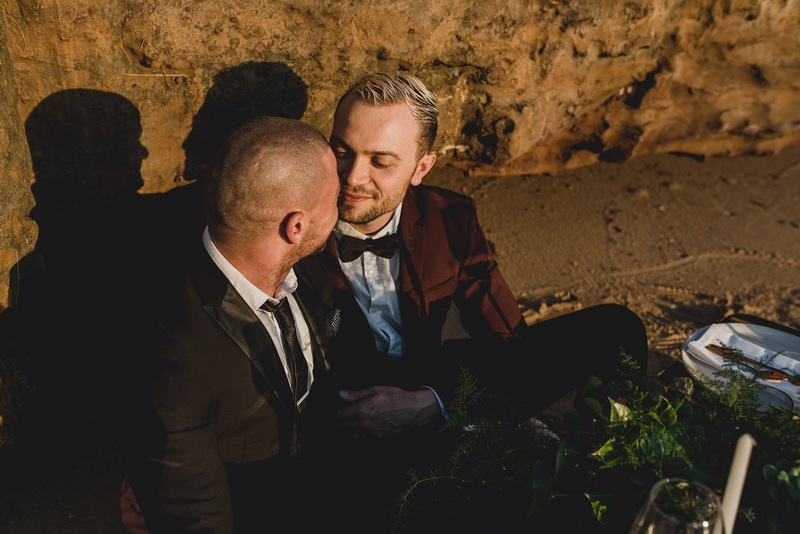 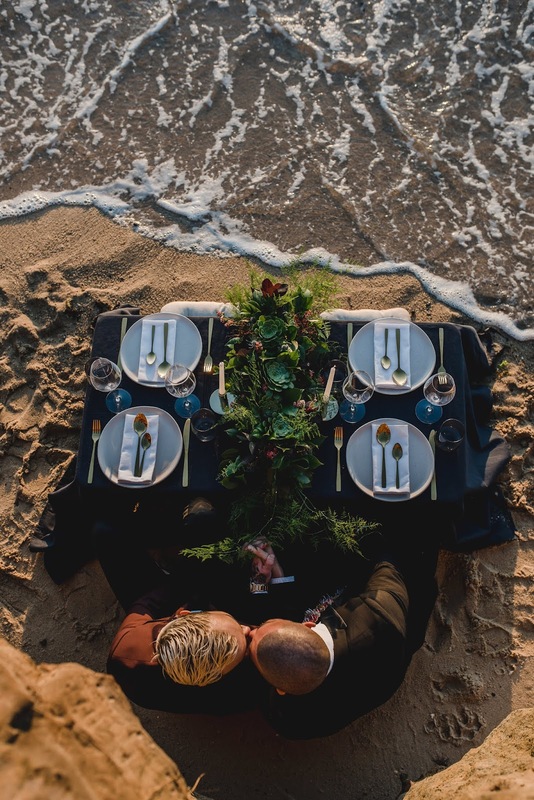 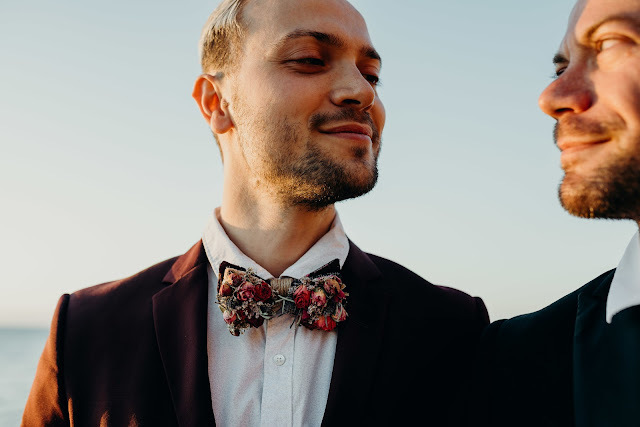 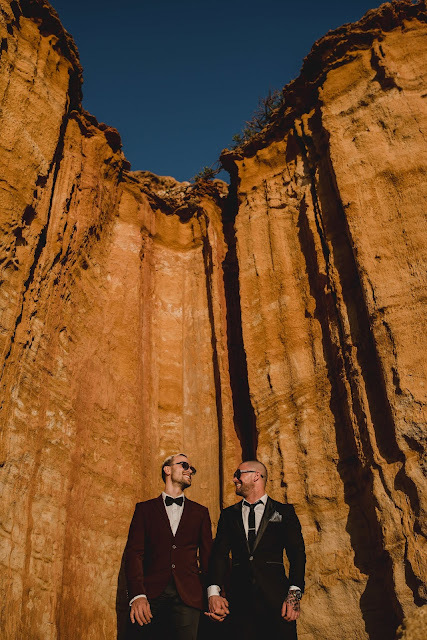 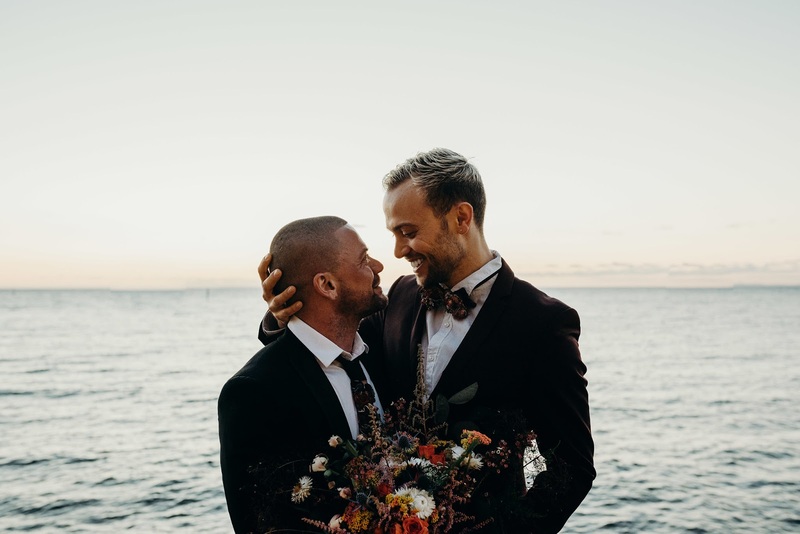 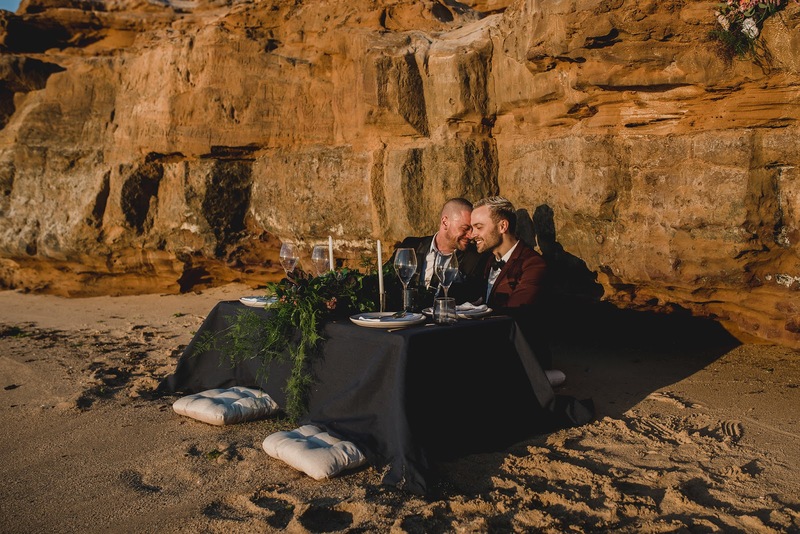 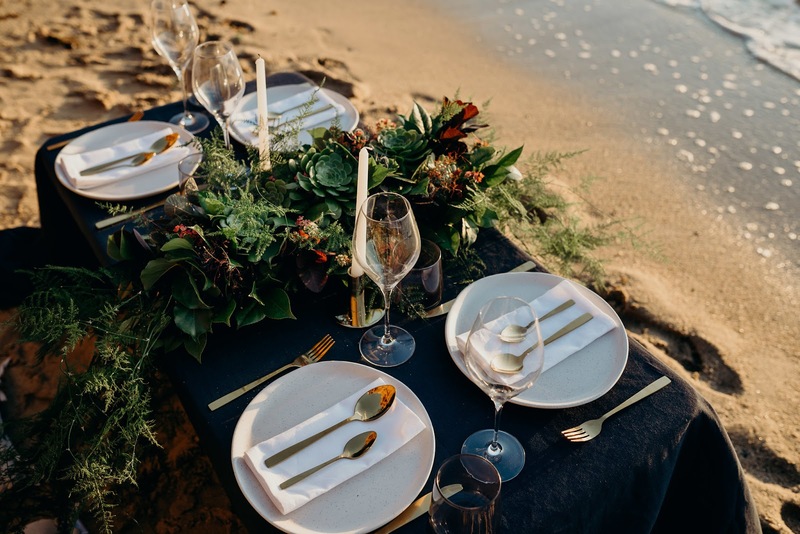 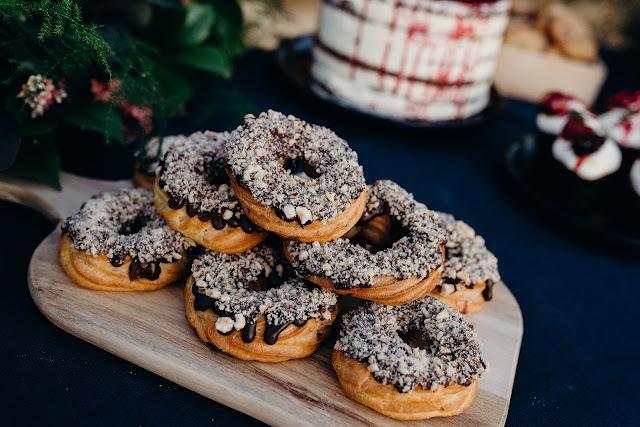 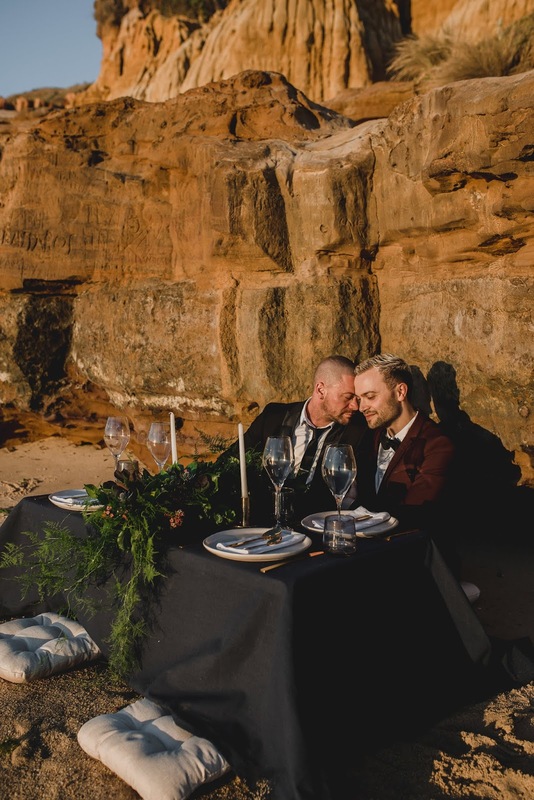 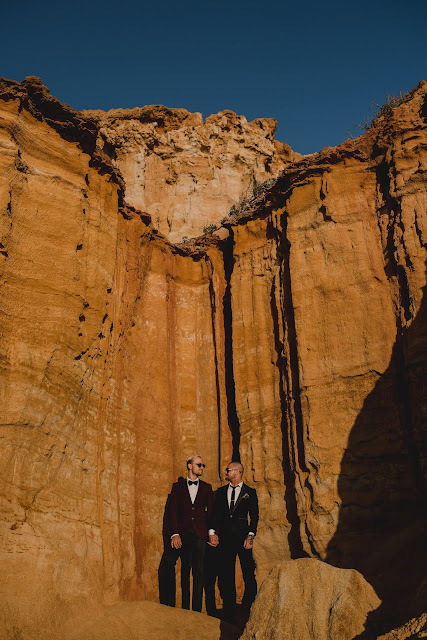 Tahnee is the talent behind the lens of Tahnee Jade Photography and this is the perfect styled Wedding shoot she had been saving Half Moon Bay, Black Rock for! 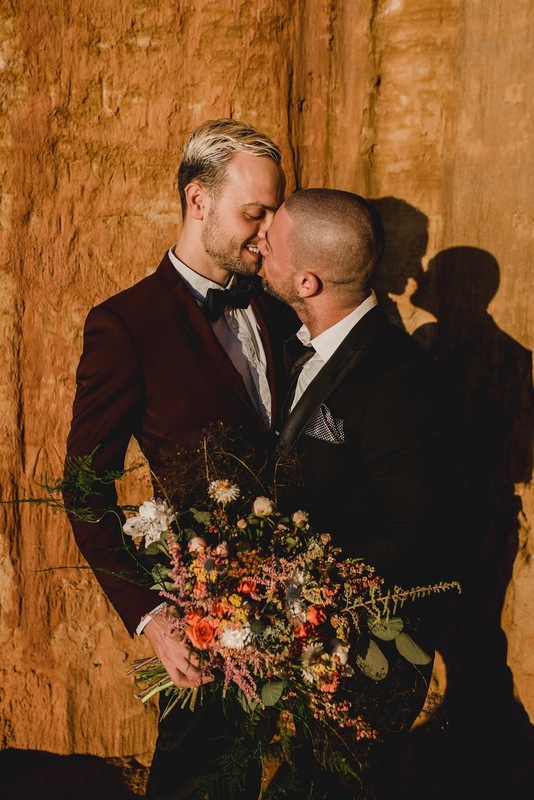 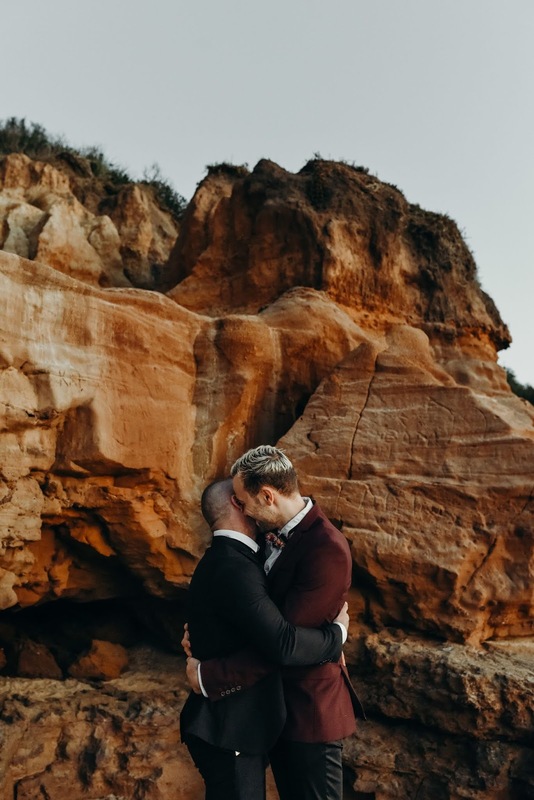 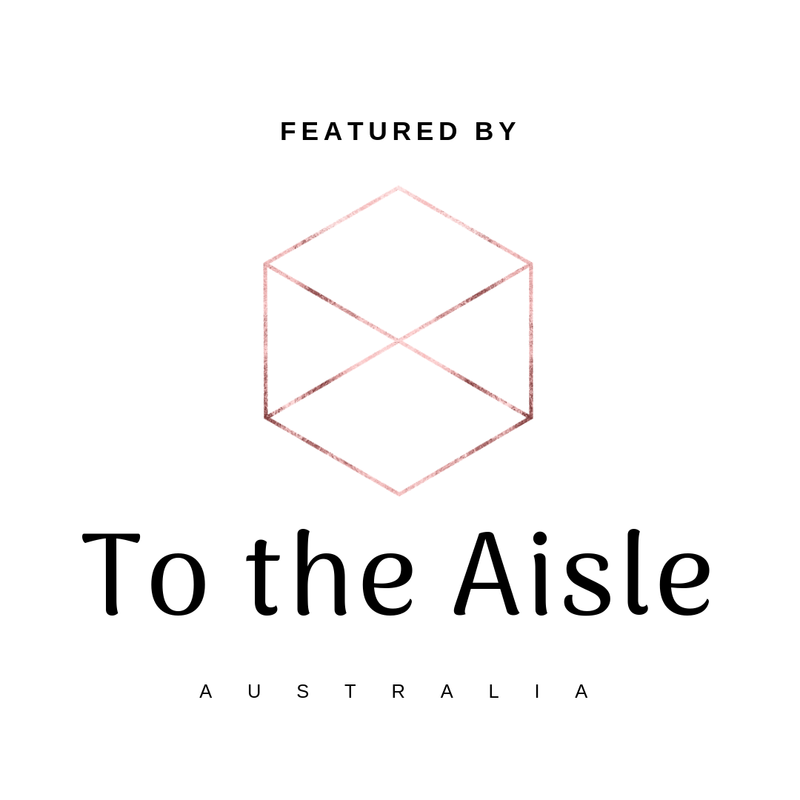 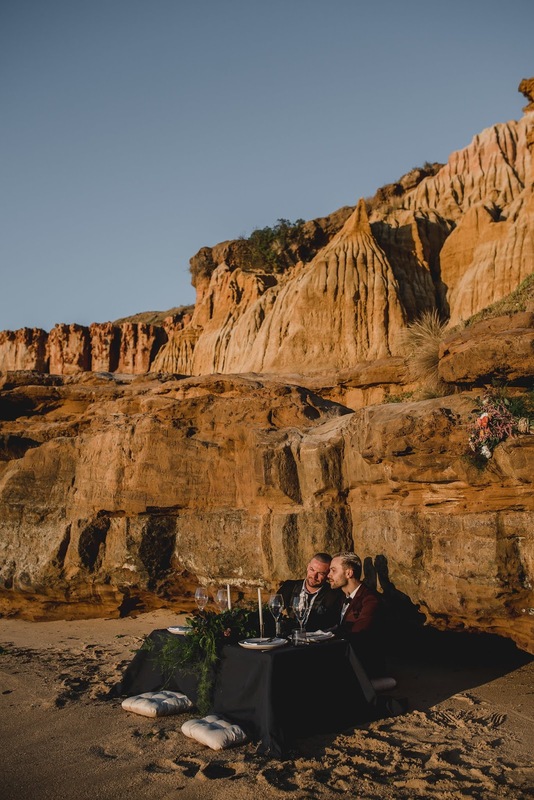 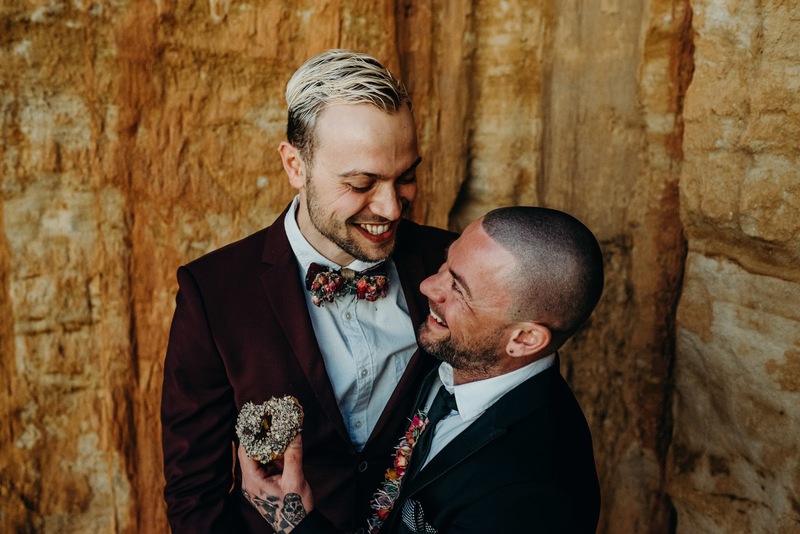 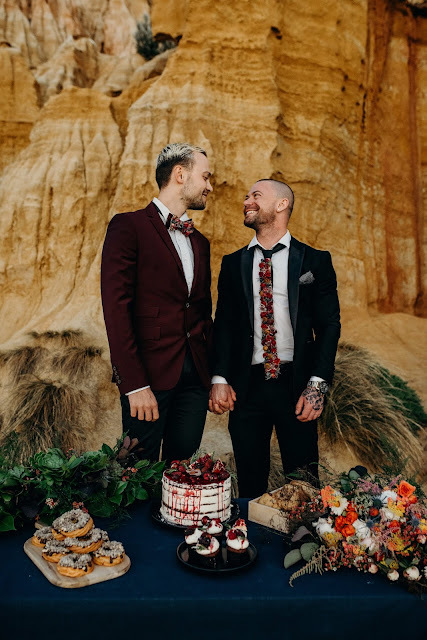 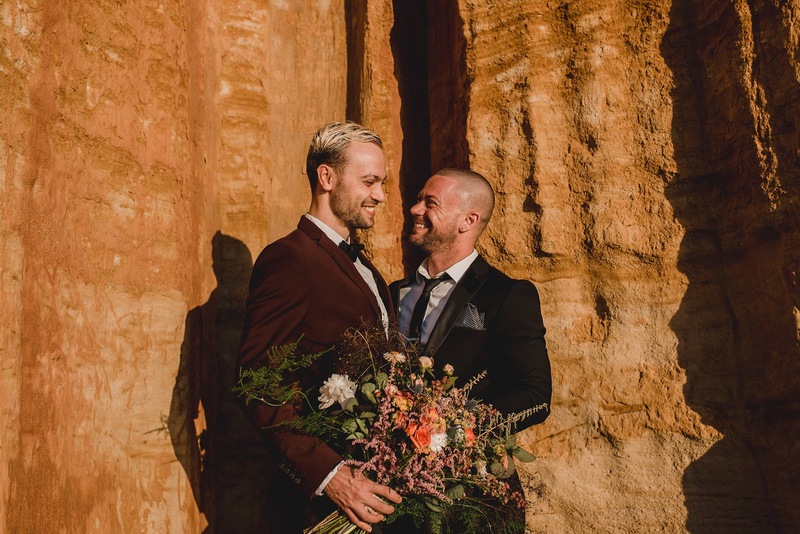 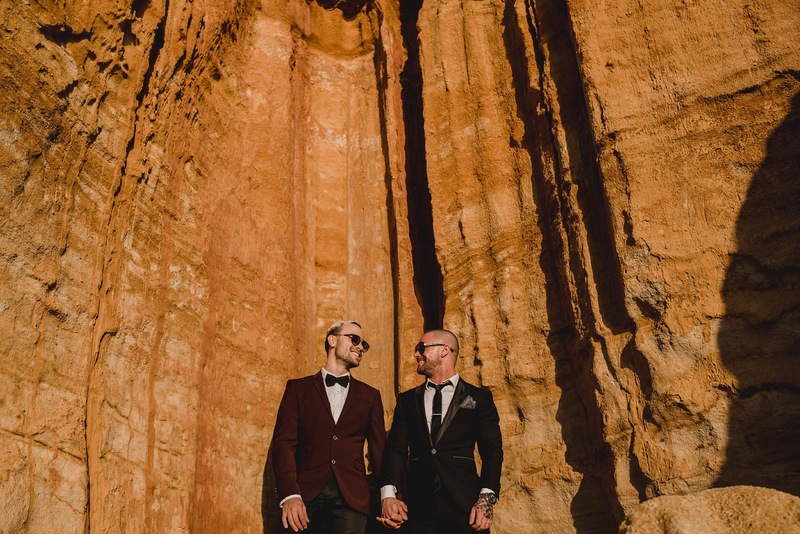 "I knew I wanted the warm red rocks to be a feature and the warm toned colour pallet followed. 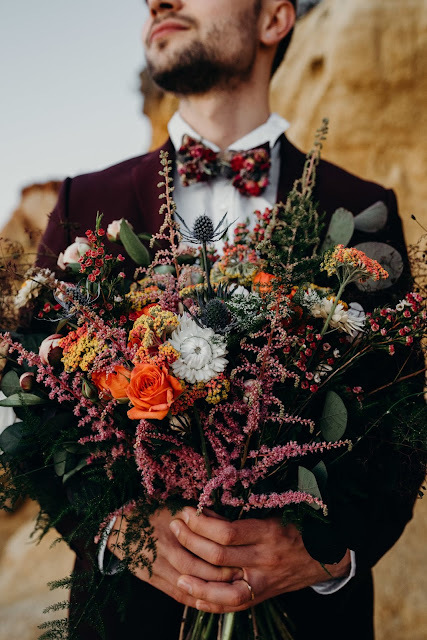 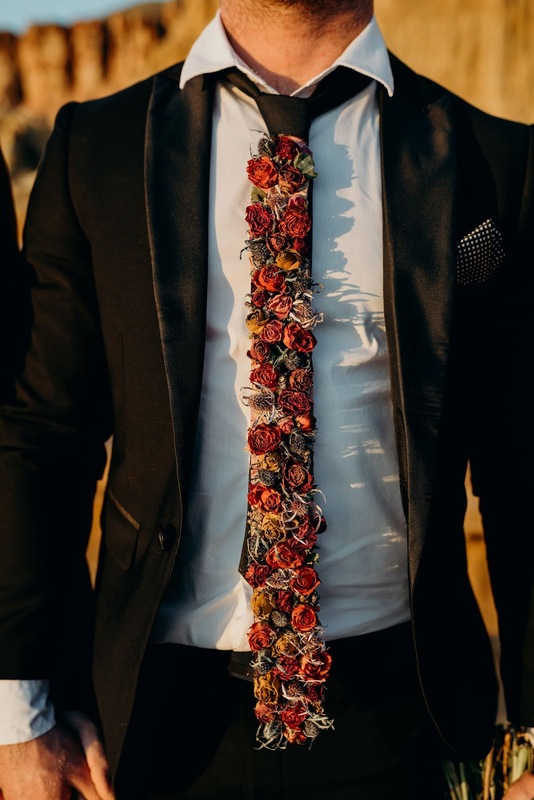 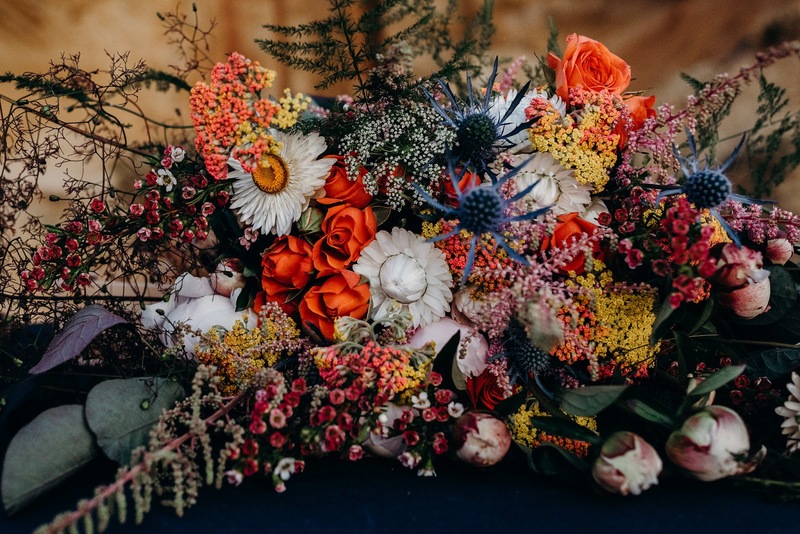 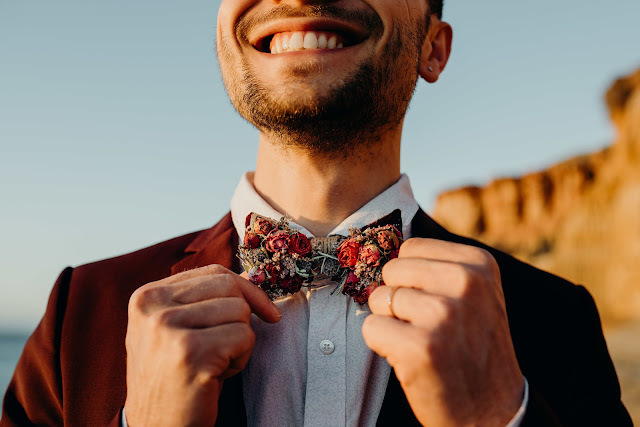 Jacqui from JCRC Events so beautifully created all the table styling and florals, including that gorgeous handmade tie and bowtie so carefully constructed from dried flowers, which looked incredible on the gents! 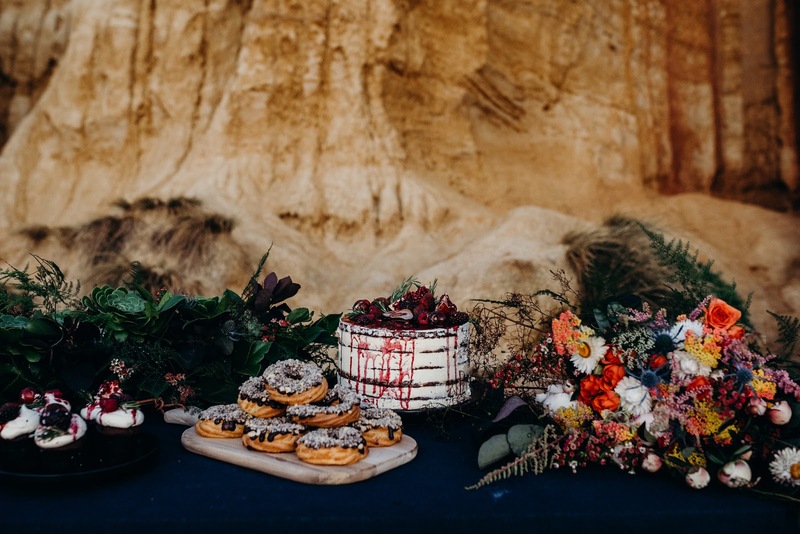 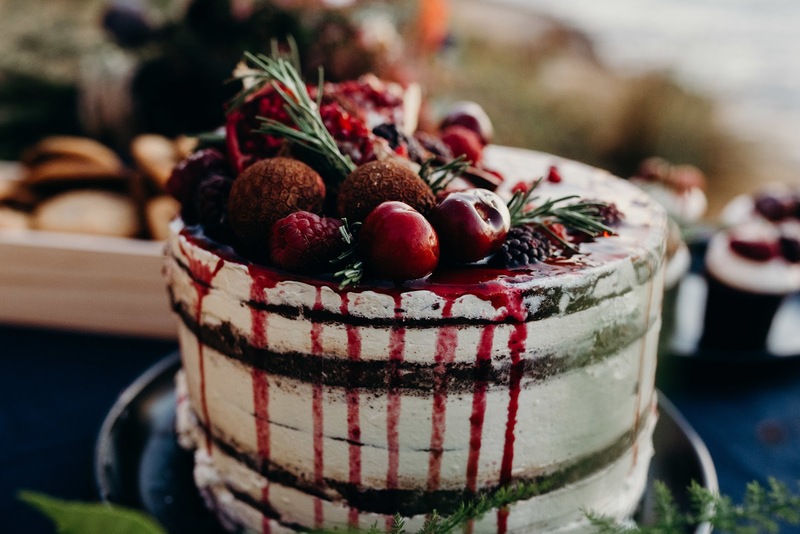 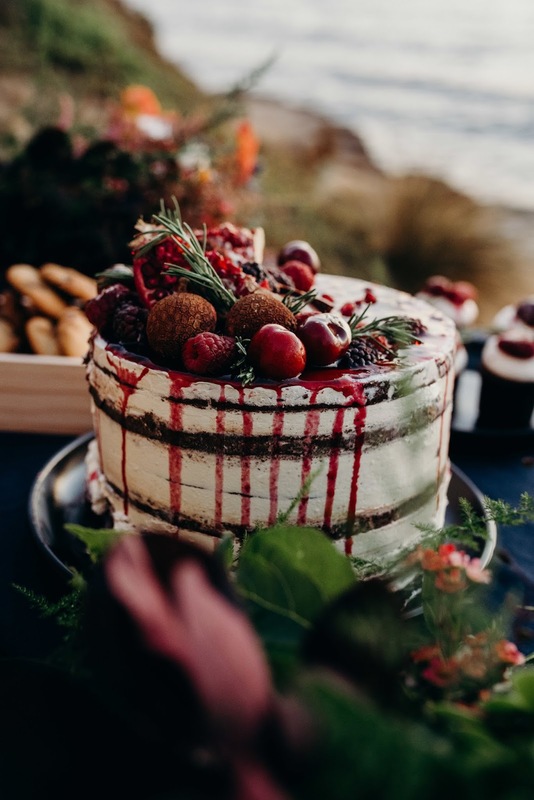 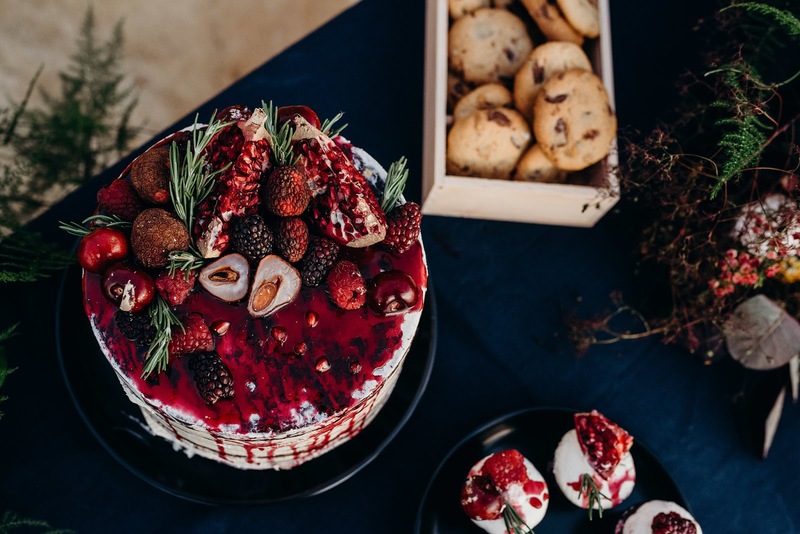 Kitty Pimms whipped up a whole bunch of DELICIOUS and incredibly beautiful deserts + wedding cake, also complimenting our beautiful warm tones. 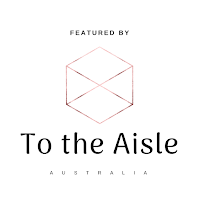 The whole shoot was a beautiful experience and we are very much looking forward to capturing the special day of many, many more beautiful, happy and oh-so in-love couples!"